Maggie Holland was born on 15 November 1865 in Texas. Wiley Holland and Amanda Crawford appeared in the US federal census of 1 June 1880 in DeWitt County, Texas. Other members of the household included Maggie Holland. Also in the household were children Matilda (age 18), Harriet (16), Mim (12), Allonia (9), Milly (8), Jane (7), Ellen (3) and Martha (1). She married George Williams, son of Abram Williams and Matilda (? ), on 22 December 1881 in Texas. Research Note: It is possible that George Williams died in 1897 and is buried at DeWitt County Cemetery, but documentation is lacking, and some conflicting information has been published online. Further research required. Maggie Holland appeared in the US federal census of 15 April 1910 in DeWitt County, Texas, at Cuero & Parktown Road. Other members of the household included Royal Williams, Willie Spell Williams and Kate Williams. Enumerated next to widow ?Callco? Williams (age 55) and her children Mary (37), Tom (30), Fannie (20) and Susie (18), and not far from Edward Williams (age 80) and his second wife Harriet (62) -- some or all of whom likely were kin to Maggie's first husband George Williams. She was a farmer, according to the 1910 census. She married Solomon King between 1910 and 1919. 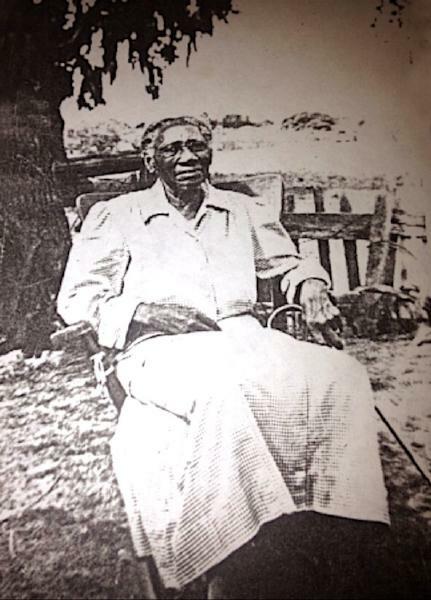 Solomon King and Maggie Holland appeared in the US federal census of 1 January 1920 in DeWitt County, Mississippi, enumerated near the household of Maggie's daughter Lue Ella Davis.. Other members of the household included Kate Williams. Maggie Holland became a widow at the 17 March 1928 death of her husband Solomon King. Maggie Holland appeared in the US federal census of 1 April 1930 in Texas enumerated near the household of her daughter Lue Ella Davis. She was operating her own a farm, according to the 1930 census. She was a farmer, according to the 1940 census. Maggie Holland died on 18 October 1955 at age 89 in Cuero, DeWitt County, Texas. She was interred at DeWitt County Cemetery, Cuero, DeWitt County, Texas.